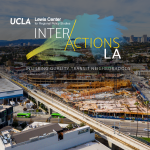 The UCLA Institute of Transportation Studies holds a number of events throughout the year, including lecture series, annual forum and symposium. This section will also feature events from our partners, including the Pacific Southwest Region 9 University Transportation Center, the UCLA Lewis Center for Regional Policy Studies, the UCLA Luskin Center for Innovation and the UCLA Smart Grid Energy Research Center, among others. April 17, 2019 | 9:30 a.m. to 10:45 a.m.
May 1, 2019 | 12 p.m.
May 8, 2019 | 12 p.m.
May 21, 2019 | 2 p.m.
May 22, 2019 | 12 p.m.
May 29, 2019 | 12 p.m.
June 4, 2019 | 2 p.m.
*Please Note: The Adam Millard-Ball (4/17), Joshua Schank (5/21) and Alex Zaman (6/4) lectures will take place in the Public Affairs Building, where seating is more limited. RSVP for those events will be first-come/first-serve. InterActions LA is a new annual conference dedicated to advancing regional growth and equity in Greater Los Angeles. Bringing together a diverse community from multiple sectors, this half-day event provides an opportunity to discuss and engage in the most pressing regional issues today. InterActions LA seeks to ignite conversation, exchange ideas, and provide knowledge on topics at the intersection of how people live, move, and work in the Los Angeles region. This year’s event will discuss the opportunities to enhance neighborhoods given the sweeping $120 billion investment to expand Los Angeles’ transportation system. While “transportation transformation” headlines abound, the on-ground picture is different: Change to the necessary complementary elements is harder to see and come by. Session Topics include: Dealing with Disruption: From Public Transit to Public Mobility; Preparing to Thrive in a Hotter Los Angeles; Why is Access to Safe, Affordable Water Still a Challenge in Los Angeles; Growing Inequality in Los Angeles – Jobs and Housing; Census 2020 and Its Impact on Los Angeles; Can Decarceration Make Los Angeles Safer? 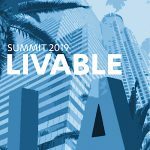 ; State of Land-Use Development and Sustainable Communities Strategies; Unveiling of the 2019 Los Angeles County Quality of Life Index. 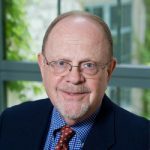 This year’s talk, Designing the 30-Minute City, will be given by David Levinson, professor of civil engineering at the University of Sydney and adjunct faculty in the Department of Civil, Environmental, and Geo-Engineering at the University of Minnesota. The 30-minute isochrone has long defined people’s use of cities, from ancient times, through the trams era, to modern times. Networks and land use co-evolve with technology subject to the constraints of available time. There are opportunities (low-hanging fruit) to use design to reduce the costs of travel and thus increase access for relatively little monetary outlay. This talk discusses both the measurement of accessibility, why it matters, and how it might affect traveler behavior, institutional behavior, and public policy. Looking at data from rail and tram development in Sydney from the 1800s and Australia today, implications about the effects of accessibility are described. UCLA ITS & Lewis Center Event | October 20 – 22, 2019 | Lake Arrowhead, Calif. 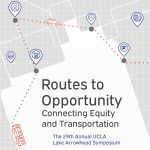 The annual UCLA Lake Arrowhead Symposium hosts leaders and stakeholders from the public, private, non-profit, and academic sectors for thoughtful discussion around the connections and conflicts between transportation, land use, and the environment. For the past 28 years, attendees have tackled the local policies, influences, and consequences related to climate change. This year’s theme is Routes to Opportunity: Connecting Equity and Transportation. Our celebration of the past 25 years of scholarship, education, and public engagement reconnected classmates, friends, and professors. In honor of the anniversary, consider giving $25 to support ongoing ITS research and student scholarships. The series brought national experts to the UCLA Luskin School to discuss new research and best practices around public transit, transportation finance, innovative mobility, and much more. It took place during Professor Brian Taylor’s Transportation Policy and Planning graduate course, but all events were open to the public. Catch up with the installments below and watch recordings of most of the speakers on our YouTube channel. Discussions and plans for the future of transportation and new innovative mobility services often fail to account for women’s travel patterns. What potential do new mobility options, bikesharing, ridesourcing, and microtransit hold for closing this gap? Or will they rather reinforce these divergent travel patterns? Naomi Iwasaki of Investing in Place hosted a conversation about women’s travel patterns, current and future transportation planning and policy with UCLA Luskin professor Dr. Evelyn Blumenberg, Seleta Reynolds of the Los Angeles Department of Transportation, and Stephanie Wiggins of LA Metro. The #MeToo movement against sexual harassment and assault must influence public transportation procedures, designs, and policies. ITS associate director Madeline Brozen kicked off a new 2017-18 discussion series by speaking with Dr. Anastasia Loukaitou-Sideris, a professor of urban planning at UCLA Luskin and ITS faculty fellow, about women’s transportation needs, how transit agencies are and are not meeting these needs, and the role of sexual harassment in public space and public transit. 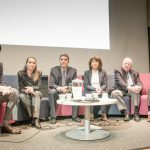 A select group of transportation policymakers, stakeholders, and experts convened for a session at the 2017 LA CoMotion Expo & Festival on the 3 Revolutions Future Mobility Program from the UC Institute of Transportation Studies. The program, led by researchers at ITS-Davis, hopes to guide public decision-making and private investments around new vehicle technology, and the discussion centered on the implications of shared, electric, and autonomous vehicles on mobility, pricing, greenhouse gas emissions, public transit, and much more. Each year the annual Wachs Lecture draws innovative thinkers to the University of California to address today’s most pressing issues in transportation. Created by students to honor Professor Martin Wachs upon his retirement, the lecture rotates between UCLA and UC Berkeley, the campuses at which Marty taught. 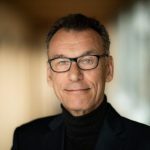 The 12th annual Martin Wachs Distinguished Lecture will be held May 16 at UCLA Luskin School of Pubic Affairs. 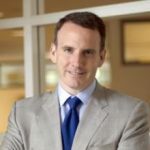 David Levinson is professor in the School of Civil Engineering at the University of Sydney and adjunct faculty in the Department of Civil, Environmental, and Geo-Engineering at the University of Minnesota. The 30-minute isochrone has long defined people’s use of cities — from ancient times through the trams era to modern times. Networks and land use co-evolve with technology subject to the constraints of available time. There are opportunities (low-hanging fruit) to use design to reduce the costs of travel and thus increase access for relatively little monetary outlay. This talk discusses both the measurement of accessibility, why it matters, and how it might affect traveler behavior, institutional behavior, and public policy. Looking at data from rail and tram development in Sydney from the 1800s and Australia today, implications about the effects of accessibility are described. 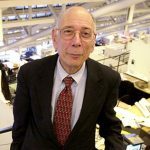 Levinson received the 1995 Tiebout Prize in Regional Science for the paper “Location, Relocation, and the Journey to Work.” From 1989 to 1994, he worked as a transportation planner, developing integrated transportation and land-use models for Montgomery County, Maryland. He then applied those models for multimodal network planning and growth management. 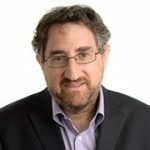 Levinson has authored or edited several books, including Spontaneous Access, The End of Traffic and the Future of Transport, The Transportation Experience, and Planning for Place and Plexus, as well as numerous peer reviewed articles. 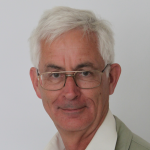 He is the editor of the Journal of Transport and Land Use. He has a PhD in transportation engineering from Berkeley and his dissertation “On Whom the Toll Falls,” argued that local decision-making about managing and financing roads will most likely lead to direct road pricing, which will allow the efficient allocation of scarce road resources (and thus reduce congestion). The 11th annual Martin Wachs Distinguished Lecture, hosted at Berkeley, featured a panel of transportation and planning experts: Jeff Morales, Ryan Russo, Tom Maguire, Maria Mehranian, Susan Shaheen. Russo, an internationally recognized expert on transportation and urban planning solutions, with extensive experience in both the public and private sectors, spoke about the challenges in maintaining and growing economic well-being in an era of new transportation modes. The talk addressed the fact that with increased capacity and greater mobility undergirding economic viability and quality of life comes congestion, increased energy consumption, air pollution, environmental damage, urban sprawl, compromised safety, damage to natural habitats, climate change and health impacts. As the panelists emphasized, this current dilemma and hypermobility demands a transport agenda for this global era to be set. The 9th annual Martin Wachs Distinguished Lecture, hosted at Berkeley, featured Catherine Ross, Professor of City and Regional Planning at Georgia Tech and an internationally recognized expert on transportation and urban planning solutions, who spoke about the challenges in maintaining and growing economic well-being in an era of new transportation modes. Ross discussed with increased capacity and greater mobility undergirding economic viability and quality of life comes congestion, increased energy consumption, air pollution, environmental damage, urban sprawl, compromised safety, damage to natural habitats, climate change and health impacts. This current dilemma and hypermobility demands a transport agenda for this global era to be set. The talk also addressed several tools and frameworks that can help meet challenges, including megaregions, which are the urban and connected areas that produce innovation and power the economy, autonomous and connected vehicles, sustainable energy sources, greater connectivity, disruptive innovation on steroids, new technology, financing critical infrastructure and sustaining our quality of life. 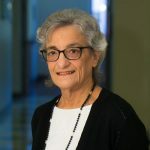 UCLA hosted the 8th annual Martin Wachs Distinguished Lecture where Patricia Mokhtarian, faculty at Georgia Tech, lamented that travel is now viewed primarily as a “derived demand” : travel occurs only so that people can enjoy the goods and experiences attained at their destination but not because the journey in and of itself brings enjoyment. Mokhtarian described how the view of travel among transportation officials in early 21st century has come to feel largely negative. 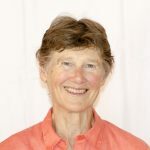 And so, she made clear from the beginning that her aim was to restore balance to how we conceive of travel by placing travel into the category of behaviors that have a dual nature: those that have on the one hand a utilitarian (functional) aspect, yet also bring a hedonic (pleasing) dimension. As she explained to the audience, travel in this positive sense can be viewed as similar to the act of eating: just as eating food can bring with it a pleasure that has little to do with nutritional sustenance, travel can bring a positive feeling unrelated to one’s ultimate destination. What About Time in Transportation and Health Research? 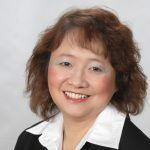 The 6th annual Martin Wachs Distinguished Lecture featured Mei-Po Kwan, now Professor of Geography amd Geographic Information Systems at the University of Illinois-Urbana Champaign. In her lecture, the audience learned how transportation researchers have long recognized the role of time in influencing activity-travel behavior. In previous studies, time has been treated largely as a linear reference system for registering when events happen, or as a dimension for assessing how phenomena change over time and space. This presentation examined a different notion of time and its implications for transportation and health research, revisiting some fundamental concepts like distance, accessibility, and geographic context, while exploring new conceptualizations that take time into account. It suggests that time is at least as important as space for understanding how individuals of different social groups experience access to facilities and exposure to contextual or environmental influences. The lecture offers that a temporally integrated perspective would help shed new light on many issues transportation and health researchers have been examining for decades. What’s Wrong with U.S. Public Transit Policy? Berkeley hosted the 5th annual Martin Wachs Distinguished Lecture where Genevieve Giulano, faculty at the University of Southern California, examined outcomes of four decades of transit policy. Using two examples, mobility for the disadvantaged and transit impacts on land use, Giulano showed the audience that little progress is being made in achieving transit’s objectives. Yet, as she demonstrated, public transit, continues to receive strong public support, and subsidies continue to grow. Major barriers to achieving public transit’s urban planning objectives she discussed included investment and service decisions that generate public support. Evidently, effective U.S Public Transit Policy will compromise the public want with the desired technical objectives. The 4th annual Martin Wachs Distinguished Lecture by Alan Altshuler, professor of urban policy and planning in the Kennedy School of Government and the Graduate School of Design at Harvard, examined the new debates about funding for surface transportation, and posed to the audience the question of how managing road congestion will occur in an era when major capacity expansion is rarely feasible. He described how these debates are also routinely framed around conceptions of equity and sought to explain the distinctive nature of equity debates in U.S surface transportation, with particular attention to congestion pricing and High Occupancy Toll Lanes. 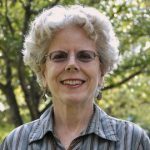 In the 3rd annual Martin Wachs Distinguished Lecture, Susan Hanson, professor emerita of geography at Clark Univeristy, tackled the complex issues surrounding gender and mobility. 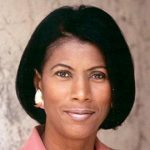 Lending her perspective to this conversation, Hanson emphasized how feminists have long known that gender and mobility are inseparable, influencing each other in profound and often subtle ways. In her talk, she discussed that tackling these complex societal problems will require improved understandings of the relationships between gender and mobility. Hanson illuminated the gaps in scholarship, as we saw how work on how mobility shapes gender has emphasized gender, to the neglect of mobility, whereas research on how gender shapes mobility has dealt with mobility in great detail and paid much less attention to gender. In November 2007, the 2nd annual Wachs Lecture, and the first held at UCLA, was delivered by Anthony May, professor at Leeds University. In his lecture, May explored the history and future of efforts to reduce the environmental footprint of transportation systems and increase their contributions to the sustainability and livability of cities, drawing on his decades of research in the United Kingdom. His lecture was followed by a commentary by Gail Goldberg, then planning director of the City of Los Angeles. The inaugural Martin Wachs Distinguished Lecture was held on October 17, 2006 with Bent Flyvbjerg, professor of planning at Aalborg University, Denmark and a former Wachs doctoral student, told a packed auditorium of current and future transportation, urban and regional planners the bad news about megaprojects. The lecture discussed the tendency of these projects to go over budget, with nine out of 10 estimated to incur cost overruns. As the audience learned, demand for particular megaprojects are also significantly overestimated, while their budgets greatly exceed initial estimates, creating a costly, underutilized project. Flyvbjerg left the audience to consider how this overoptimism and overcomplexity should be addressed through policy.